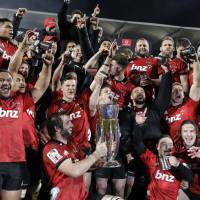 CHRISTCHURCH, NEW ZEALAND - The Canterbury Crusaders had hardly begun to celebrate their back-to-back Super Rugby titles when they put the spotlight on completing a three-peat next year. The Crusaders were too smart and too clinical for the Golden Lions in Christchurch on Saturday as they won this year’s final 37-18, after posting a 25-17 victory over the same side in the previous year’s final. The victory extended the New Zealand club’s phenomenal record in the 23-year-old southern hemisphere competition to nine titles from 13 finals. The Crusaders have fallen short of reaching at least the semifinals only five times. “One of the players — I won’t name names — it was the first thing he said. I thought he was going to come in for a cuddle. He was talking about that,” Robertson said, confirming he was keen to stay with the side and did not really want a break between seasons. “My mind sort of wanders to what can happen next year already,” he said. “You are always sort of planning ahead. Robertson, who performed a breakdance routine in front of his players to celebrate, has led the Crusaders to the title in each of his two years in charge. 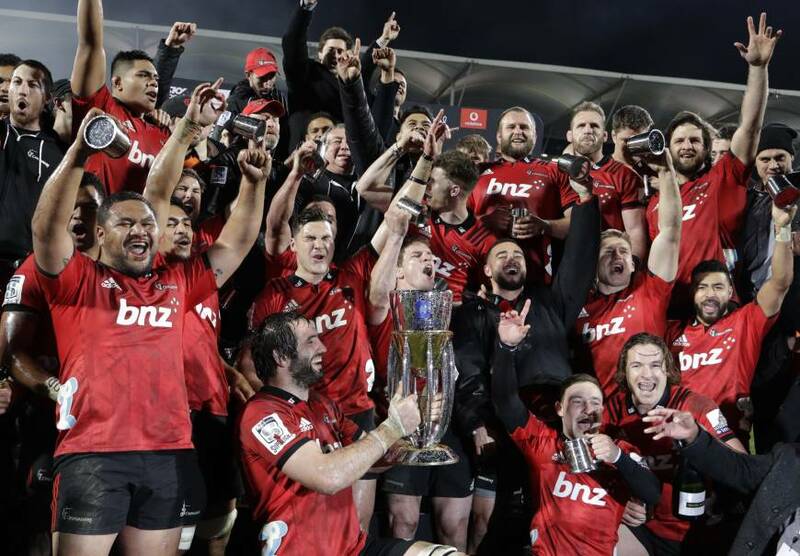 Last year’s win ended a nine-year title drought, and Saturday’s match was the Crusaders’ first home final in 10 years. While he was elated last year, when the club wasn’t expected to win in Johannesburg, winning at home carried a different feeling. “We were favorites here. It was relief,” he said. Ireland’s Ronan O’Gara, now a Crusaders assistant coach, has been impressed by the “humility” of the players and said the team culture was to play for each other. Lions skipper Warren Whiteley could not argue with the scoreboard, saying his side fired every weapon in its arsenal but could not land a telling blow. “Jeez it was tough . . . (we) pretty much did everything that we could and they were just very good. There is nothing else you can say,” he said. The Lions, chasing their first title, lost in the final for the third consecutive year.